The workshop is for all who work with other people, therapist, nurses, social workers etc. She is the founder of the Bodynamic System and of Bodynamic International in collaboration with various colleagues. She is the former director of the Bodynamic System, while now she is the international supervisor for all educational issues. Lisbeth Marcher is the former president of EABP. 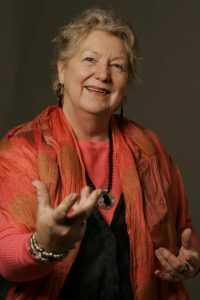 She has presented her work and taught in many countries and at many conferences, since the 1970′s. One of her main contributions to the Bodynamic System is the recognition of the hyporesponsive reaction in peoples’ way of being, and how this behaviour is represented in the muscles in the body as hyporesponsive muscles in opposition to the normally accepted armour reaction – hyperresponsive muscles. She developed this recognition into a Bodymap and a Character-structure system, that could be taught to people. During the late 1980′s she was part of developing the Bodynamic approach to resolving shock-trauma – and developing new resources – which is now a separate training from the Foundation (20-24 days) and the Practitioner training. Many articles about the system have been published, most often by her colleagues – but with her participation in formulating the theory. She has been working on finishing a book about the system for many years – and has been fighting with her dyslexia to make it happen – and now finally published, The Body Encyclopedia. Today Lisbeth is part of the Bodynamic international teaching team, and travels to Greece, Brazil, Germany, Holland and Denmark. Hadi Marcher is the third generation, after his mother Ditte Marcher and grandmother, the founder of Bodynamic, Lisbeth Marcher that is actively participating in the system. He is a board member and will take the position of CEO of Bodynamic International beginning May 2019. He is working to make this system more known and applied all over the world. It is his dream that Bodynamic methods will be used in different areas of life. Hadi’s career started with a pedagogue’s position in an integrational kindergarten. Later on he expanded his work towards working with adolescents. He has worked with the ‘Red Cross’ organization in refugee camps, using his Bodynamic skills. Part of his responsibility was to take care of the refugee unaccompanied children and adolescents and refugees that had history of being tortured. For 4 years H. Marcher has worked with people on the Autism Spectrum, using Bodynamic methods and received tremendous results. These people differ in their extend on how well they are adapted to life. One of the outcomes of his work was that Hadi was asked to teach other pedagogues how he works with people that have Autism in different institutions in Denmark. He has also worked with patients that suffer from personality disorders like schizophrenia, bipolar disorder and PTSD as well as with people that suffer from eating disorders and sexual abuse using the Bodynamic approach. 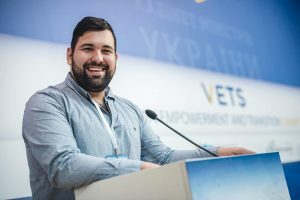 Within the Bodynamic International organization Hadi has been an assistant trainer and co-teacher in ‘Shock and Trauma Training’ of Bodynamic, in Brazil, Ukraine, Denmark and Greece. As well as promoting and participating in Bodypsychotherapy conventions in Europe. The workshop will be offered to 28 people only on a first come first served basis. The workshop cost is of £280.